News Posts 15: 2018 is starting off well! I started a new image improvement series based on the Shermans Motors. 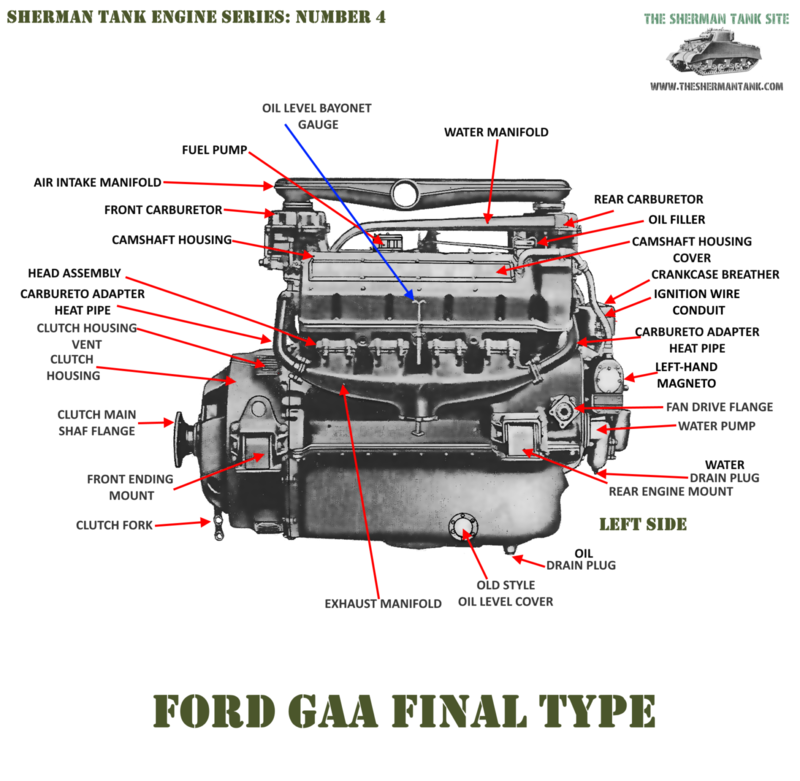 I was not entirely happy with the first series of images I cleaned up regarding the Ford GAA and the M4A3. There were several reasons, the main being, I just got a lot better at using the imaged editing software over the process of doing that first set. This left a lot of images of less quality than they could be, and that annoys me so I’m going to fix that. On the upside, many of these images already are almost done, so fixing them does not take that long. Another problem with the early parts diagrams is they only have simple part names. If I don’t know for sure the name of the port, a cover plate is covering and the diagram just says cover, it makes it less useful. 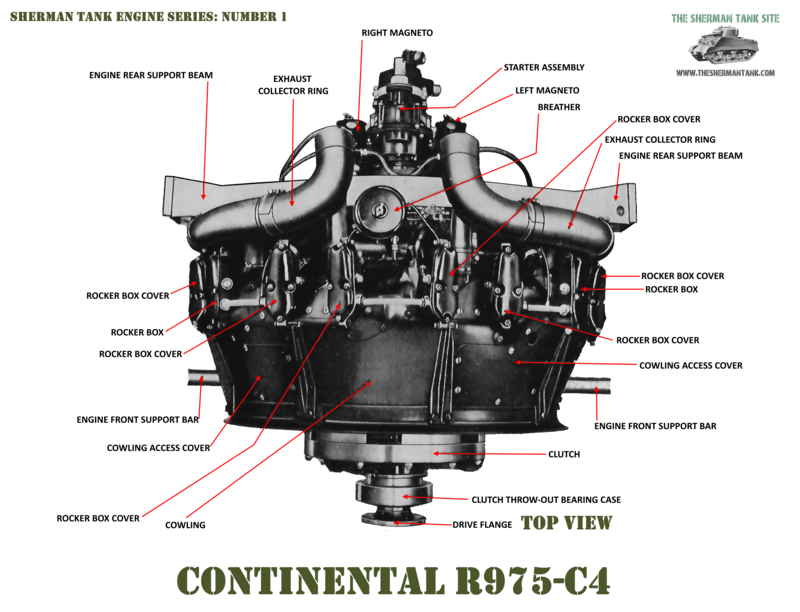 What’s interesting is you can find the same images just labeled differently in the different parts catalogs and Technical Manuals. 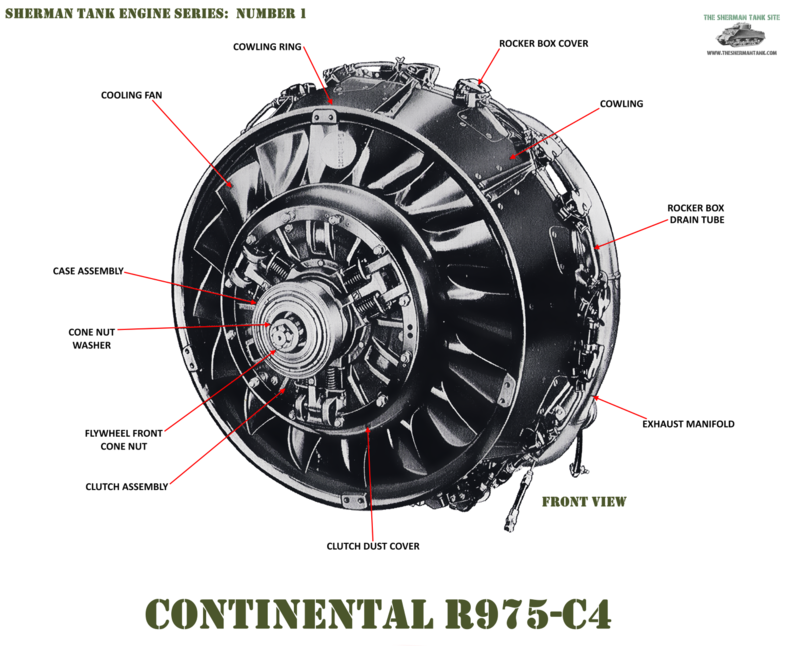 On the improved images, I’m using the actual commonly used parts name. Digging through the various manuals to figure this out can be time-consuming, but I always learn something so it’s ok.
I‘ll post a bunch of the updated images at the end of this post. The Sherman tank Site store Preview page: Click here for the store preview page on this site. I put up Clothing and Gear store, you can click on the first link to go directly to the link, or the second link to go to the preview page on this website, with some larger images of some of the shirts. The idea behind the store is even if it only makes a few bucks a month, it can help offset some of the web pages hidden costs. I think I have some amusing T-shirts up, check it out. 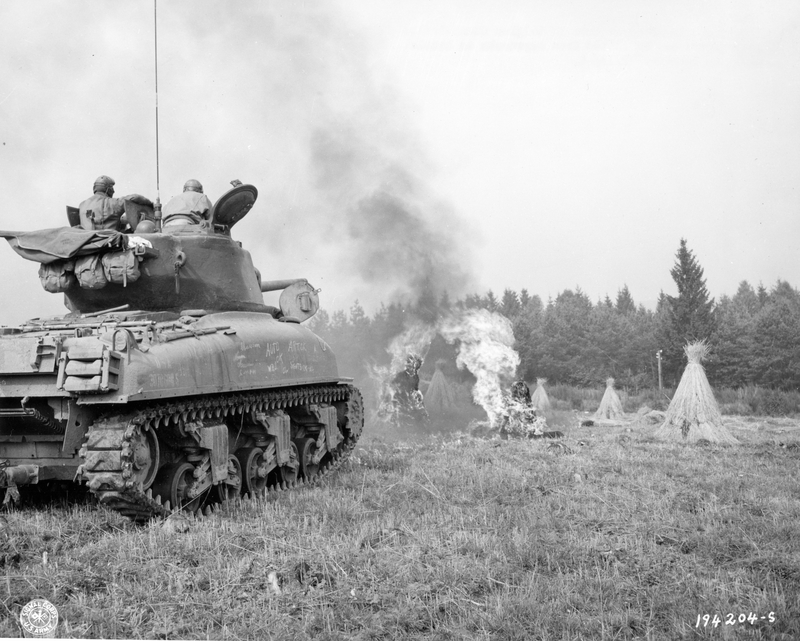 A new Sherman Tank Site forum. I put in a small forum, so people have an easier venue to discuss things since the comment system is clunky for that. To start it off, I put a post up about my feelings on the Sherman Stabilizer system and if it not being commonly used is a myth or not. Please pop over and add your feedback. Coming soon, more huge Technical drawings and parts breakdowns. Marine Cleaning his Tommy gun on a Late model M4A3 75 Sherman. Note the all-around vision cupola with periscopes mounded in the center of the hatch. The Sherman had two turret types the 75mm turret and the later T23 turret with the M1 series of 76mm guns. The Jumbo had an up-armored version of the T23 turret. One of the things that really set the Sherman apart from its peers, and gave it very good longevity, was the size of the turret ring. The Shermans were 69 inches, positively huge for when it was designed, the early T-34 had a 56-inch ring, and the later version with 85mm gun had a 63-inch turret ring. 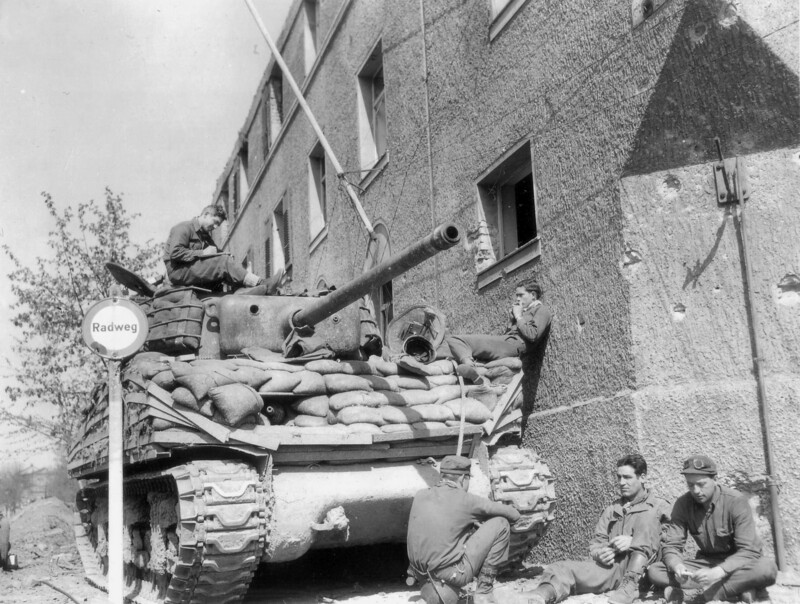 Nazi Germans are not very good in this area, PIII having a 60-inch ring, PIV having only 63 inches, and the Panther only having a 65-inch ring. Even the Tiger wasn’t huge, at only 70 inches! So what makes the size of the ring important? It is one of several factors that determine the maximum size gun you can mount on the tank. The other factors are the mechanical reliability of the vehicle and its load capacity, and how good the country building the tank was at making recoil absorption systems for the guns. The combination of automotive reliability, load capacity, turret ring diameter, and turret size allowed the Sherman to be up-gunned for decades. These factors were far more important than armor thickness when it came to the Shermans longevity. 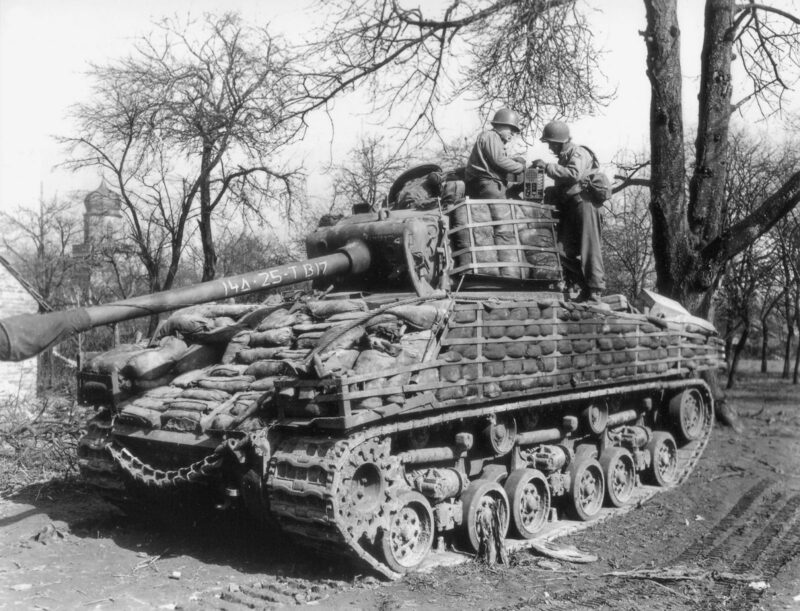 That the Sherman received more powerful guns than the Panther had, or could have had, is just one more reason why the Sherman was such a great tank, and better than the Panther. The turret collector ring allowed the turret wiring to go into the hull and still allow 360-degree traverse and not tangle any wires. All Shermans had essentially the same one. Now let’s talk about turret drive motors. There were three types used on the 75mm Shermans. 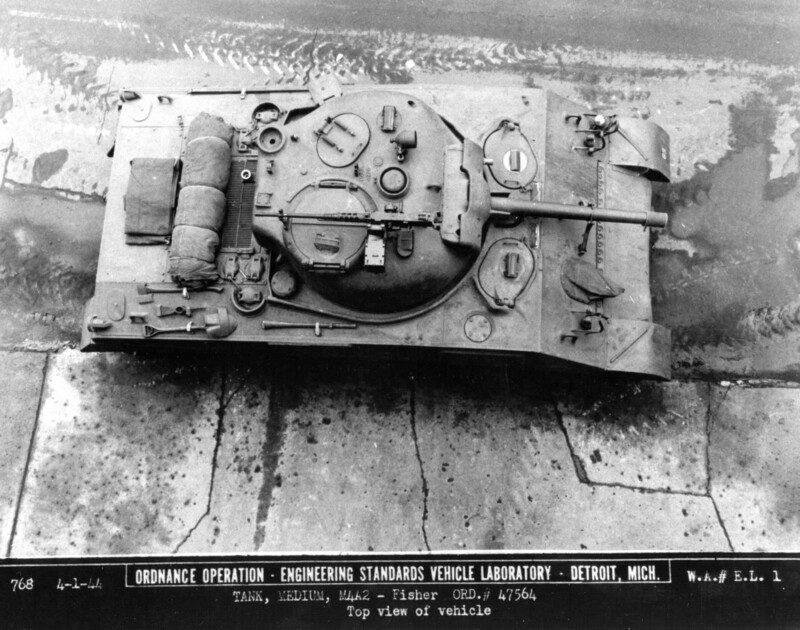 Oilgear: All models of Sherman tank had both powered and manual turret traverse. They did try various brands and types though. 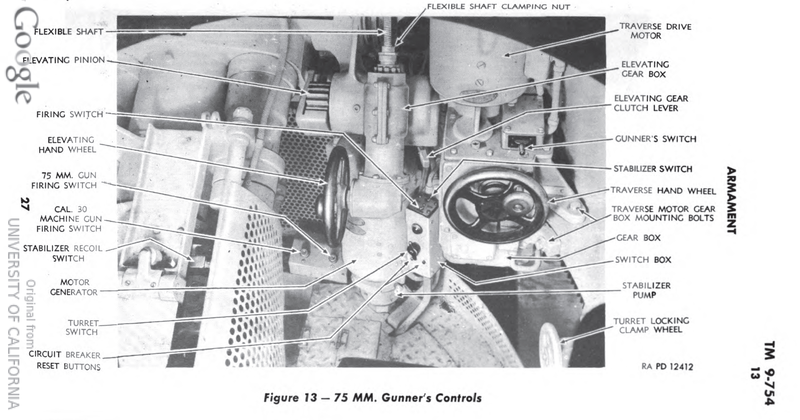 The preferred on the early Shermans was the hydraulic mechanism made by Oilgear Company. 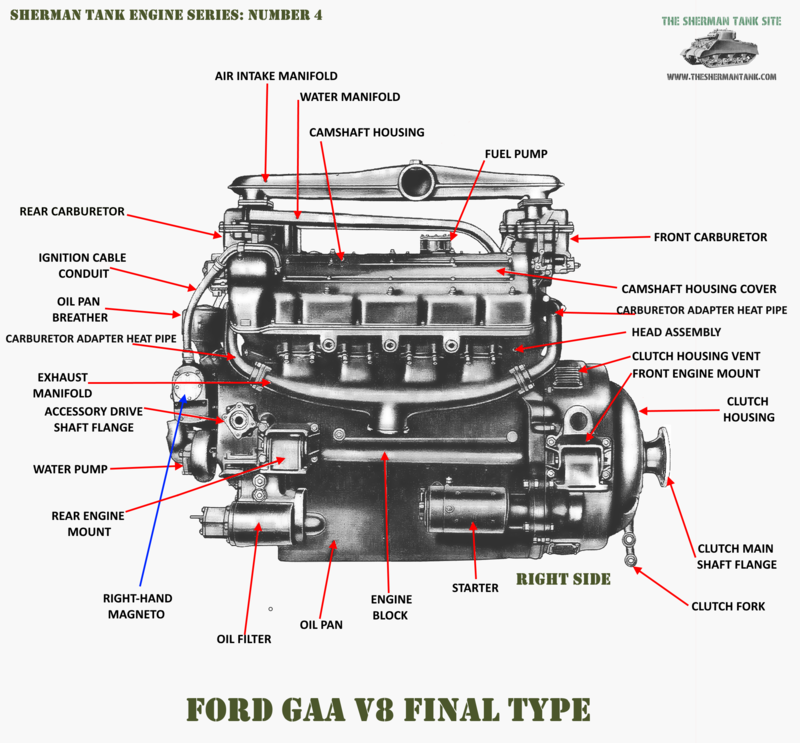 The Oilgear unit was both more precise because it had veritable sensitivity and more robust since it was able to keep the turret spinning even with minor flaws in the race or ring gear, than the other choices. 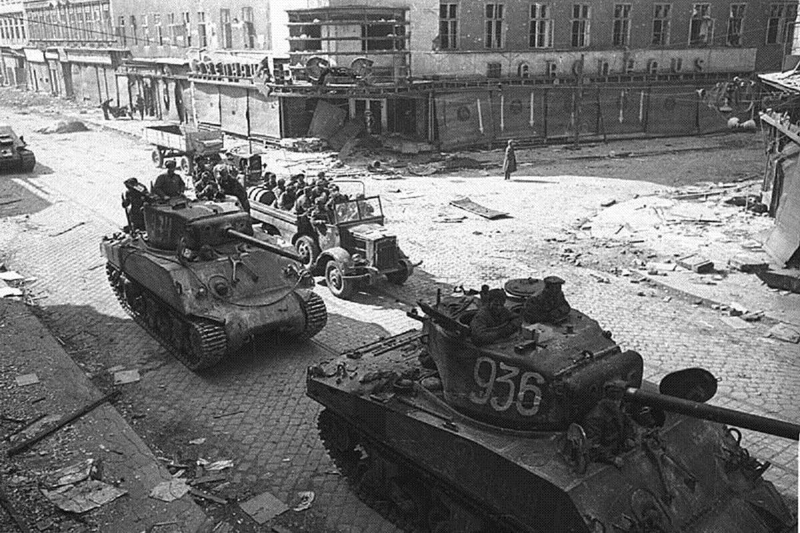 Oilgear could not keep up with all the factories producing Shermans, so they had to go to other companies. The Oilgear unit was hydraulic but powered by its own electric motor that spun a hydraulic pump and turbine setup to rotate the turret. The whole assembly was small enough to be mounted to the side of the turret, with a fair amount of room for the gunner. Logansport: This Turret drive was very similar to the Oilgear unit, just not as precise, nor as good at dealing with imperfections in the turret race or ring. This unit was so similar the electric motor powering the hydraulic pump and turbine used the same reduction gears as the Oilgear unit. 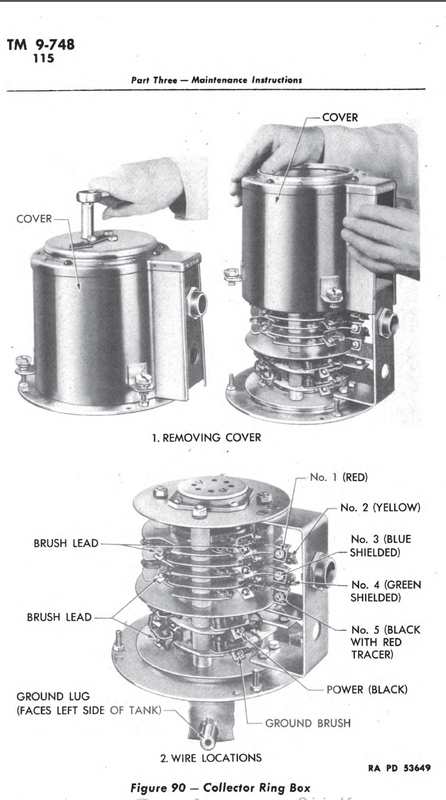 The Logansport unit used the same mounting bracket as the Oilgear unit as well. The sensitivity to problems with the tolerances on the turret ring would make this drive more likely to fail from minor damage that the Oilgear unit would shrug off. Westinghouse: The Westinghouse unit was just a big electric motor hooked to reduction gears. Since the motor ran at a faster speed, it had to be adapted to the stabilizer system but was still able to fit the same space and use all the mounting brackets of the other systems. The Westinghouse unit had the same problem with minor flaws in the race or sensitive to tightness in the ring gear. Now, this would be a quality assurance problem at the factory in most cases. IE, when the tank got to the end of the line, and the QA inspector rotated the turret, and it screeched and slowed down over 10 degrees of rotation, it would be rejected, and sent to the factory’s QA shop to be fixed. Battle damage might have caused some problems as well, but if the tank took enough of a hit to damage the teeth on the ring, or gear, it was probably going to be knocked out, and in really bad shape. That speculation based on how well many turret rings held up after years on firing ranges when the wreck they were in was restored into a beautiful working tank. 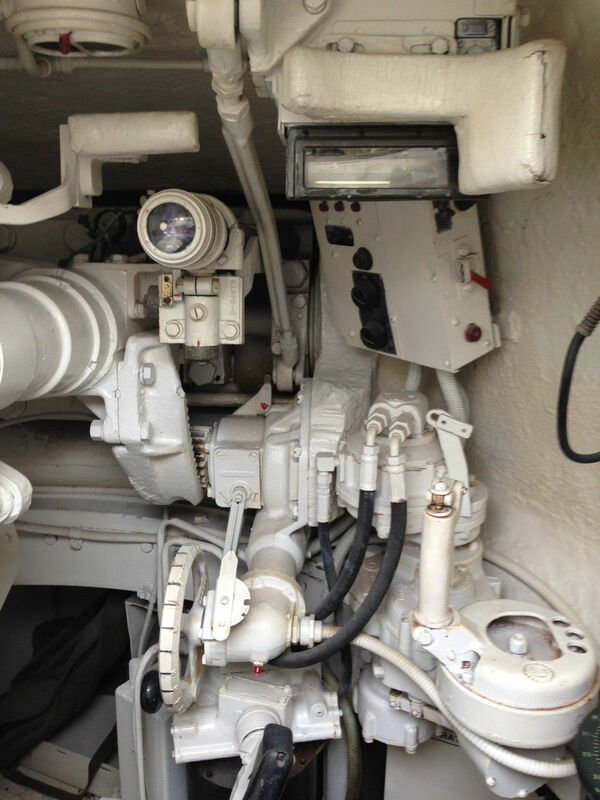 On the later T23 turrets, the Oilgear system was used for traverse control and an improved Westinghouse stabilizer was used as well. 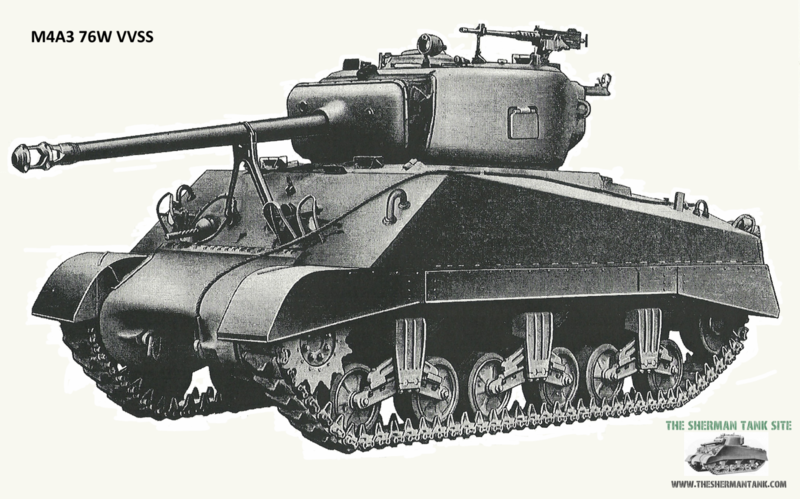 The Westinghouse stabilizer: All models of the Sherman but the 105 armed tanks had a stabilizer to control the main guns in elevation while on the move. It used a gyroscope and hydraulic power pulled from the turret drive system to keep the gun steady in the vertical while on the movie. The system is often disregarded as an advantage by detractors, for a few reasons, but none are valid in a technical sense. The stabilizer was a very advanced piece of kit, and something the Germans could not copy, and never installed a similar system on a wartime tank. That it was complicated and the crews lacked training in using it, doesn’t mean it didn’t work and offer advantages to crews who bothered with it. 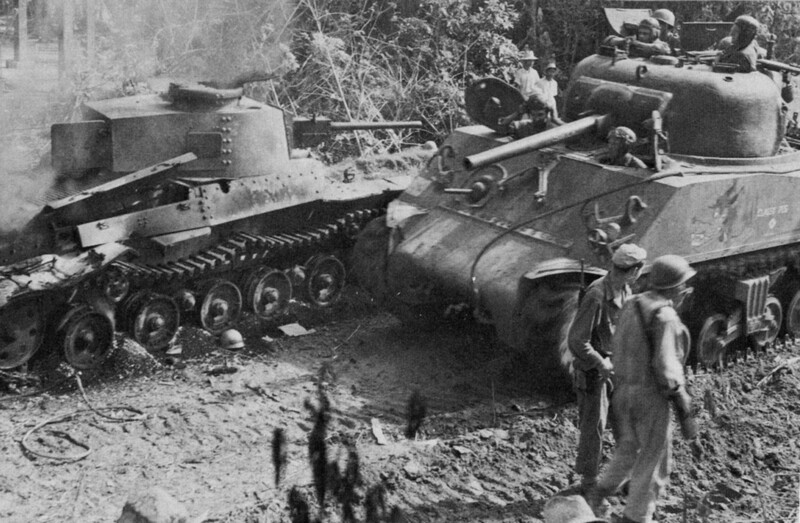 The original stabilizer was a little complicated to set up properly since many armor units received their tanks and maybe some manuals for them, when they formed, they often did not have a single man in their company who really knew how to make the stabilizer really work. This lead to it being turned off by a lot of early war crews. The wrongheaded belief the equipment was useless followed that. The Army did a test on it and found the stabilizer, when set up, and used by a crew who knew how to use it, it helped a great deal in getting off a fast first shot when the tank came to stop to shoot. If the tank rocked, the gun stayed more or less on target. This was a big advantage to getting that all important first shot/hit in combat. 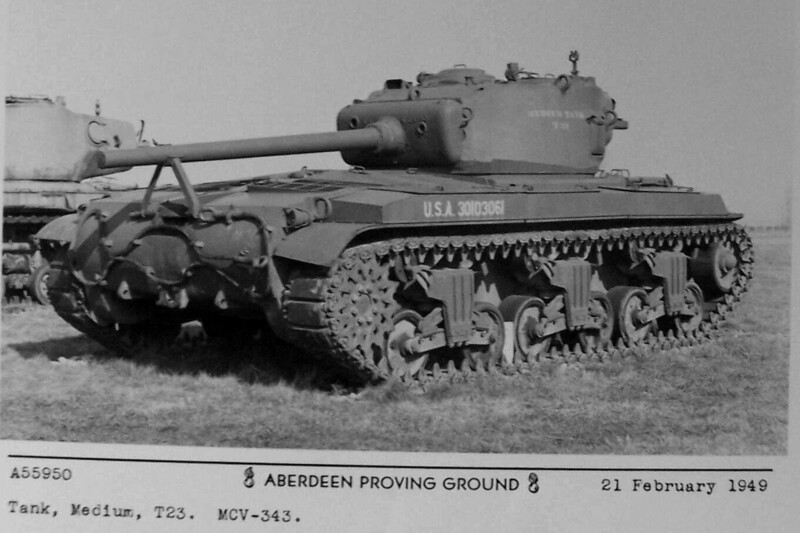 The Westinghouse stabilizer was improved and simplified in the second generation Shermans, the large hatch 75 and 76 tanks would have gotten it. It was easier to setup and maintain, and the Army worked on getting crews trained on it. The M3 2 inch Smoke Mortar: The M3, 2-inch smoke mortar was installed in the turret, with the muzzle opening on the forward left of the turret, on both the 75mm and 76mm gun turrets. 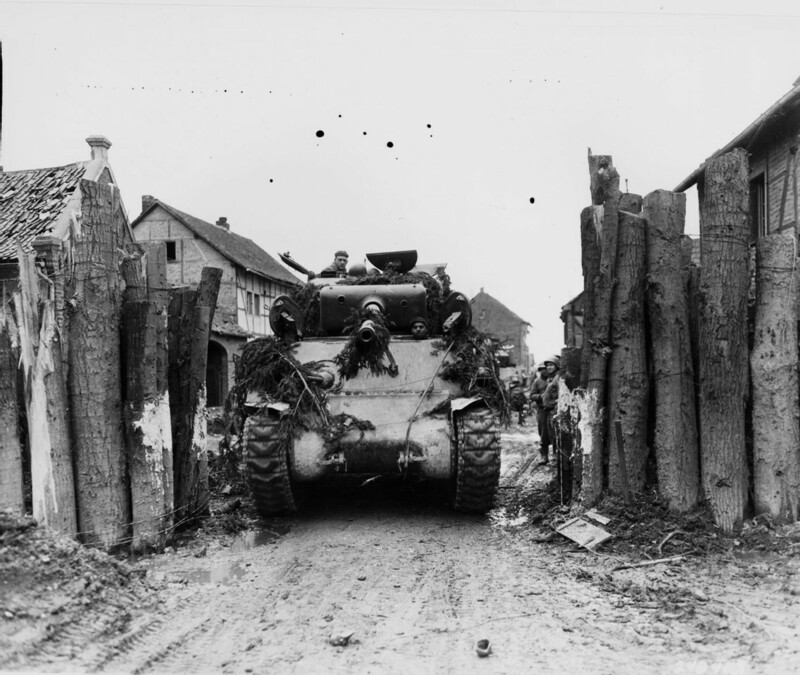 It was added to the tank at the request of the British and was loaded and fired by the loader. The mortar was loaded from inside, but protruded into the loaders space, and was not well liked. It could only be aimed by rotating the turret, and not all late model 75mm and 76mm turrets got them. Postwar, most were removed and the hole welded over. 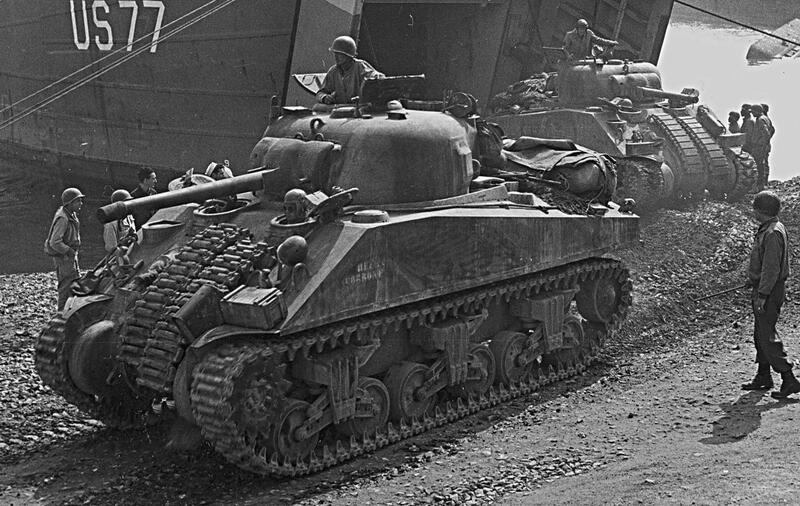 The Hatches: The Sherman’s turret started off with a single large split commander’s hatch. This hatch incorporated the m2 .50 HMG mount and rotated. It also had a standard periscope mounted on one side of the split hatches. This hatch went through several changes through its long life. Initially, the split commander hatch just depended on the weight of the armored hatch cover halves to hold them in the 45-degree angle position that sat in when open. They could be knocked loose when the tank was moving over rough terrain, and really hurt the commander. They added a pair of hatch locks at the factory and fixed them in the field with kits. The final version of the split hatch had internal springs in the hinges to hold them open. 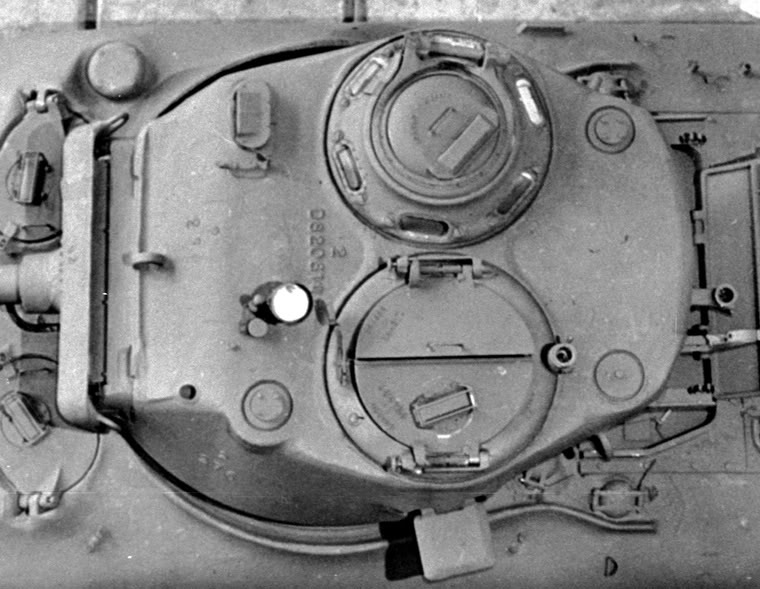 There was also a version with a defect that passed factory inspection that showed up on some M4A1 76W tanks, where the split loaders hatch, essentially the same hatch that had been the commander’s hatch, was used for the loader, .50 M2 mount and all. This was fixed pretty quick though, and then the hatch was replaced by the oval loaders hatch. 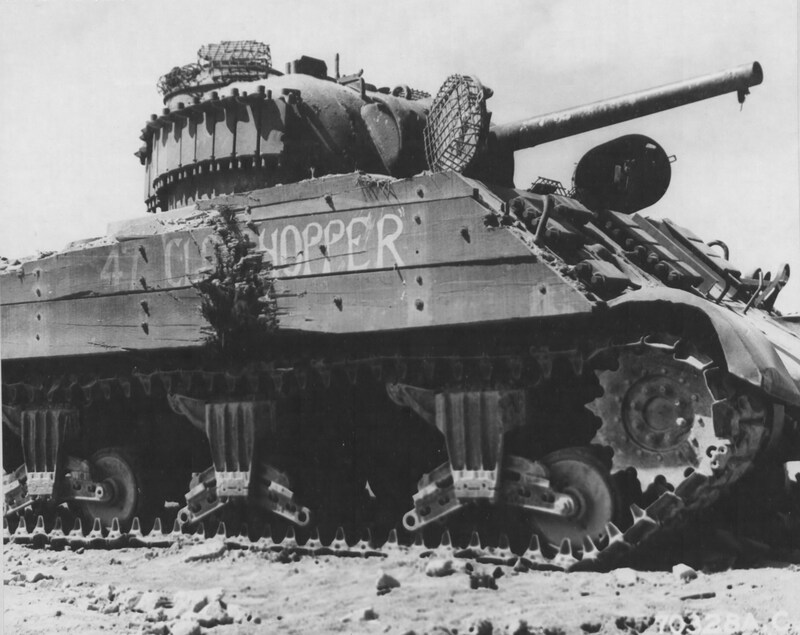 In this massive image of an M4A1 76w tank, that has been modified with a flamethrower, after being repaired, note it has the split loaders hatch with the flaw that won’t let them open all the way. When the second generation Shermans with the T23 turrets went into production, they all got much improved all-around vision cupolas. 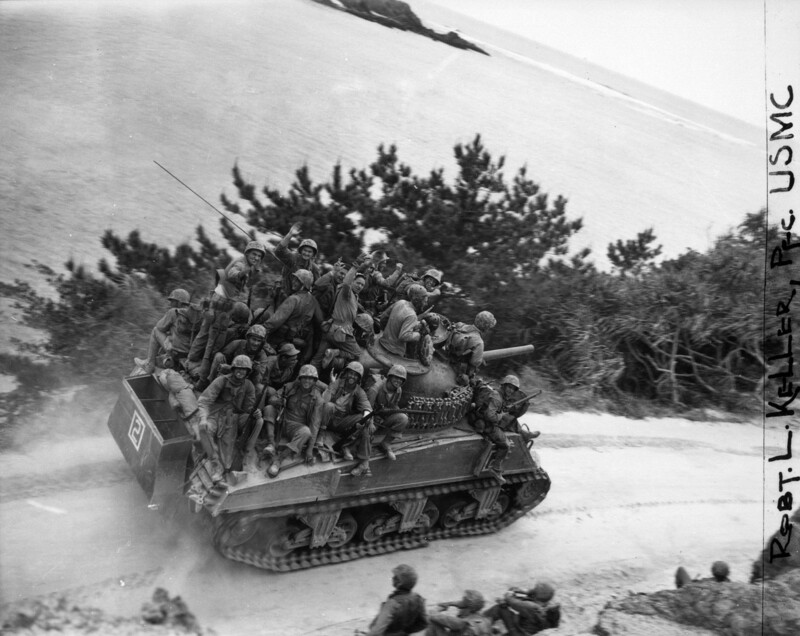 There must have been a shortage of contractors who could make it, because it was in short enough supply, the second gen large hatch, M4A2 75s, M4 Composite hulls, and M4 (105) tanks were all built with the original split commanders hatch. 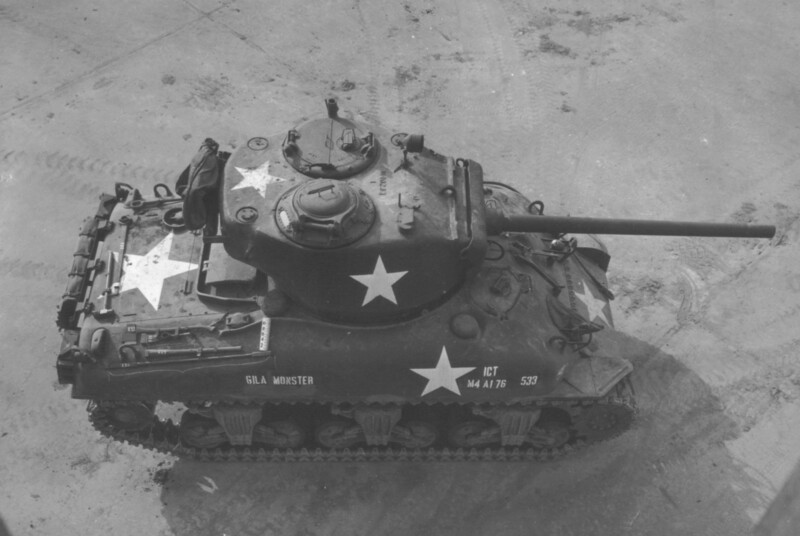 The all-around vision cupola production was reserved for tanks armed with the M1A1 gun. The cupola offered very good all around vision, with six armored glass viewing blocks, that were all replaceable, and a larger periscope mounted in a rotating center section of the hatch door. Towards the end of the war, the new cupola became more available and was fitted to some of the ultimate production M4A1 75, M4A3 75w tanks, and M4A3 (105) tanks. The oval Loaders hatch: The version of this hatch on 75mm turrets looked the same but was slightly smaller than the one used on the T23 turrets. The hatch was a spring-loaded oval hatch, either just big enough to get through or, big enough to get through comfortably, in the T23 versions. 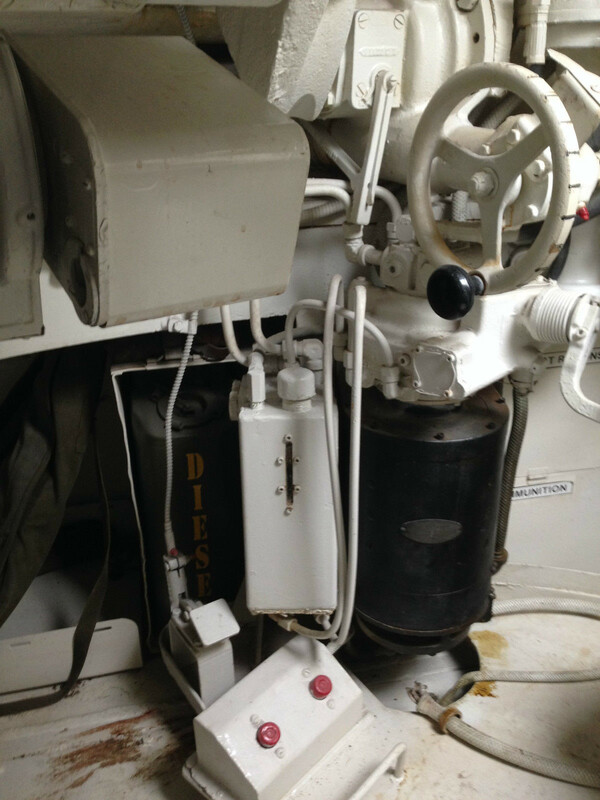 On the T23 turrets, when the oval hatch was installed, a new fully rotating periscope foreword of the hatch replaced the one that was mounted in the old split hatch. Soviet M4A2 76W tanks with oval loaders hatch. 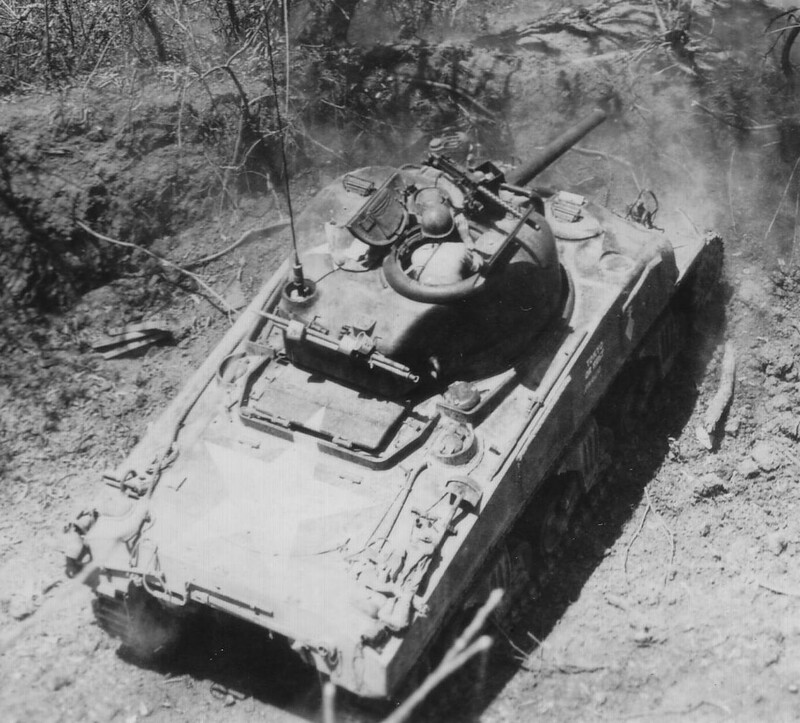 A late production M4A2 75 with a large hatch hull, oval loader’s hatch, on what is probably a high bustle turret, with a split commanders hatch. Now for a final bit of information on the turrets and the stuff mounted on them. Over time the turrets picked up an external vane sight the commander could use to roughly put the gunner on a target, it looked like a whale fin in front of the commanders hatch on older 75mm Shermans. This was refined into a more useful, and less odd looking site that could be used from inside or out of the turret. 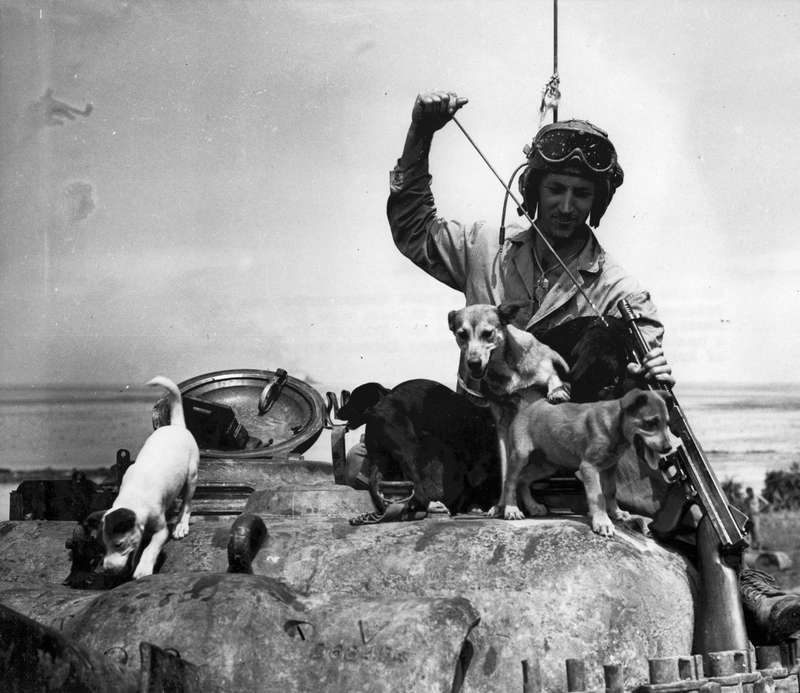 The .50 caliber machine gun mount started on the commander’s hatch, eventually moved to the loaders hatch, and then to the middle between the two hatches. There was also a spotlight mount added, and it ended up being on late 75mm turrets, the T23 76mm turrets and even retrofitted to older 75mm Shermans. The mount had an armored plug, the spotlight plugged into, and could be controlled from inside the tank, much like the spotlights you see mounted to the side of police cars. The turrets also started out with no brackets for storing the heavy machine gun, but they started showing up on 75mm turrets and were on almost all T23 turrets. Even where the lifting eyes were moved around on the turrets. From looking at period pictures, it was very common for the gunner or loader to ride standing in the commander’s hatch, while he was in it as well, the split hatch cupolas were that big. I thought I wouldn’t see the practice on tanks with the all-around vision cupola, but I found a few were the crews did it there too. On this M4A3 105 in Marine Service, you can clearly see the commander and probably gunner sharing the all-around vision cupola! 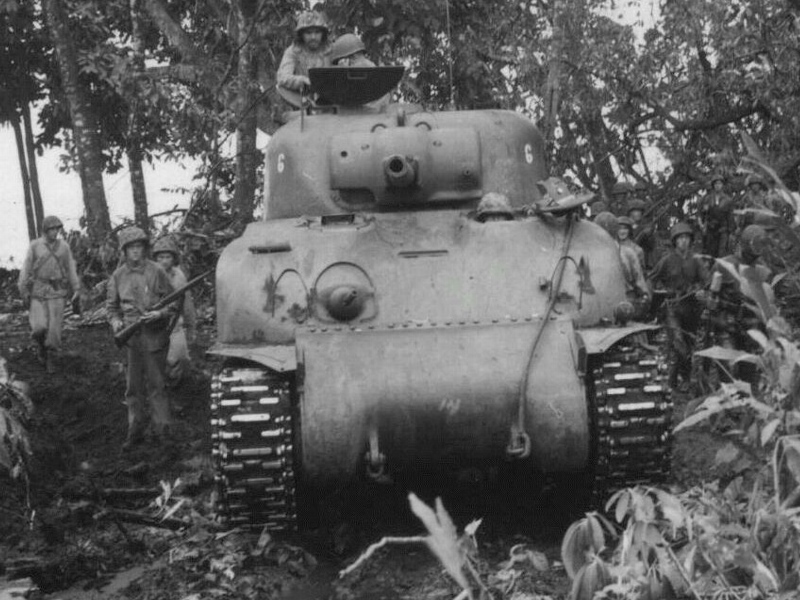 An Army M4A3 75 tank with a split commanders hatch, oval loaders hatch, and the commander and gunner sharing the split commanders hatch, somewhere in the Philippines. The standard 75mm turret started out with a stubby rotor shield that just covered the base of the 75mm gun. These early turrets didn’t have a direct telescopic sight for the gunner either. 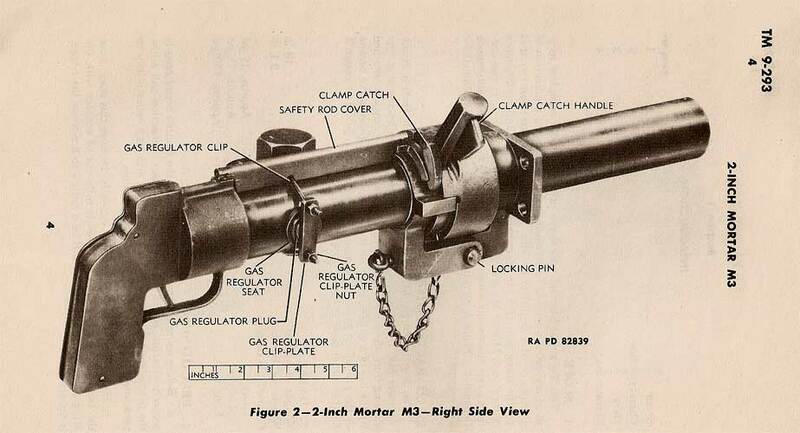 The gunner had to rely on the M4 periscope to aim the gun. The turret had one large hatch for the whole turret crew to get in and out from and a pistol port on the loader’s side that could be propped open and spent 75mm shells dumped out. The loader and commander had fully rotating periscopes to view the world through, the commander’s periscope was in his hatch, the loaders right above his station, and the middle of the turret roof had an armored ventilator. Many of these turrets had a weak spot in the armor due to an area machined to fit the turret drive. This area was covered with additional armor on once the problem was discovered. In this shot of a Sherman wrecking yard in Europe, you can see the early 75mm turret with depot or even factory level rebuilds, on these tanks before they were knocked out. 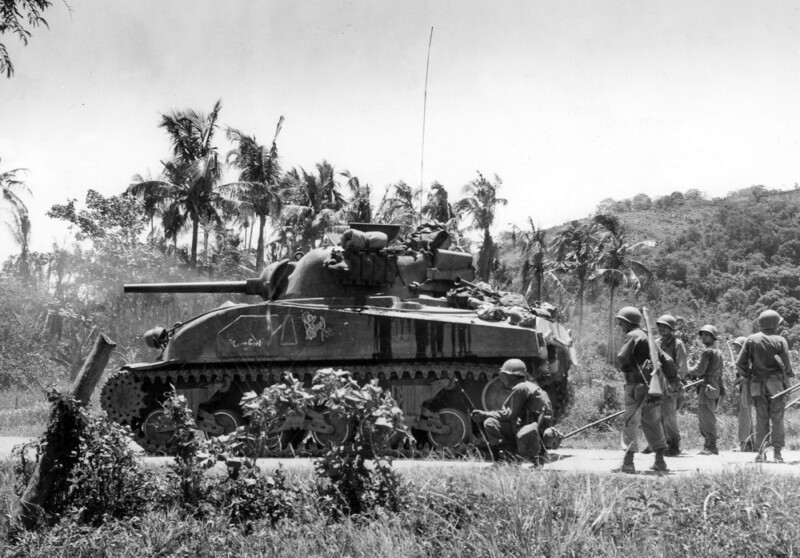 They could be M4s or M4A3 tanks that were used in the US for training and refurbished on shipped to the ETO. You can see the split commanders hatch, though missing the hatch doors on two of them, the full-length gun mantlet, the welded on cheek armor over the weak spot and the commander’s old style vane site. The small rotor shield and lack of telescopic sight were some of the first production line changes, and older tanks were field modified with kits to update them, often only covering half the turret with added armor on the mantlet to protect the new telescopic site. The new factory full-size rotor shield covered the majority of the turret face with much thicker armor. The next big change was a weak spot in the right side of the casting where a thin spot was made while machining the turret for the gun mount was discovered, and armor was welded on the outside of the turret to thicken it back up. Tanks were retrofitted with this armor in the field, and later the casting was changed to include the thicker armor over the area, eliminating the need for the welded on cheek armor. 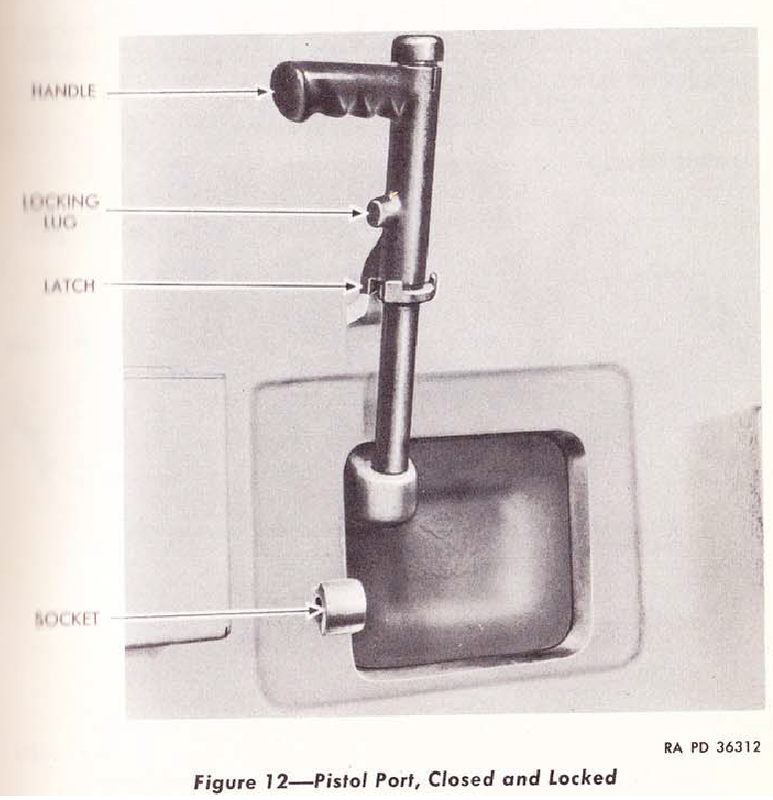 At some point, while all the above was going on someone decided the pistol port was a weak spot and it had to go. So they started welding them closed at the factory, and then the casting had them removed. Then the men in the field went ape poop, and they put it back in, around the time the ultimate 75mm turret went into production, with the thicker armor cast in, the pistol port back, a new all-around vision cupola for the commander and an oval hatch for the gunner. This would be the final configuration of the 75mm turret. The tolerances used by US tank factories were close enough turrets cast at one factory could be used at another with no modifications. 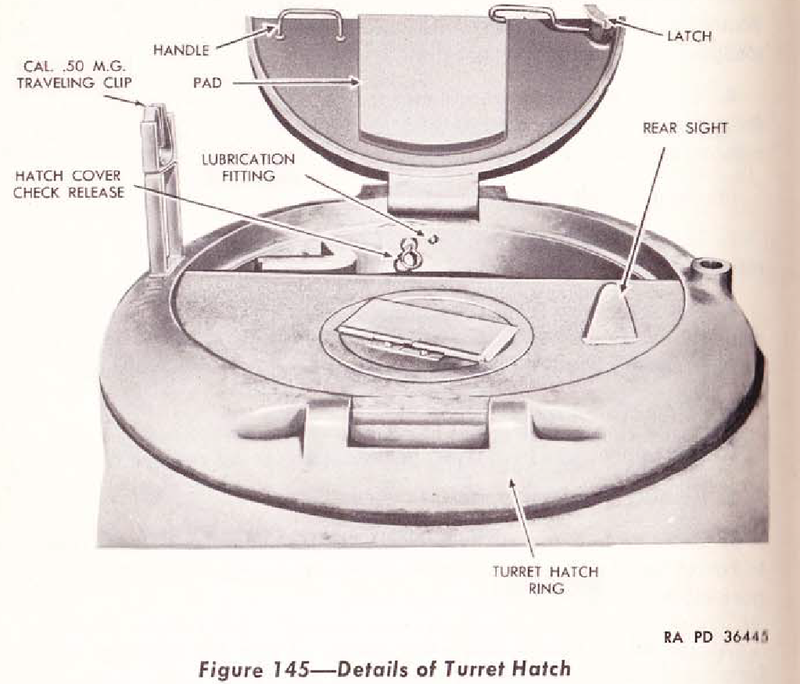 Many older surplus turrets left over from the tank retriever conversion program were used in later production, with all the updates added, and a hatch cut in for the loader. Due to a shortage of all-around vision cupolas, many 75mm turrets with a loaders hatch ended up with the old split style commander’s hatch. 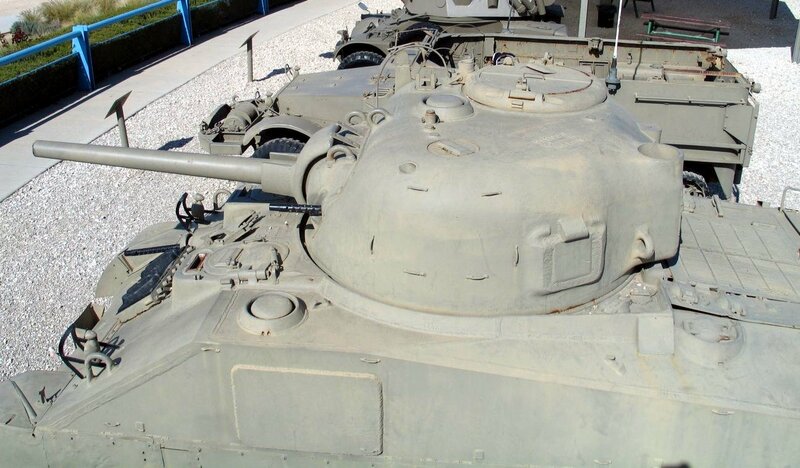 When hull production switched over to the 47-degree frontal armor configuration, and they went with the large driver and loaders hatches on the M4, M4A2 and M4A3 production, the 75mm turrets needed modification. The hinge for the larger drivers and co-drivers hatches stuck up higher than the older small hatch hulls, they could interfere with the turret’s rotation, since they barely cleared the bustle was the radio was mounted in the back of the turret. The first solution was to notch the bustle a little, but they also changed the turret casting, raising the whole bustle area and making the top of the turret flatter. The turret drive motor was either an electric motor driven hydraulic system or a straight electric motor driven system. The hydraulic system was the preferred, but when that system was in short supply the electric system was substituted. The 75mm turret could rotate 360 degrees in 15 seconds with the power traverse. It had a manual traverse system as well, and elevation was handled through a manual wheel. 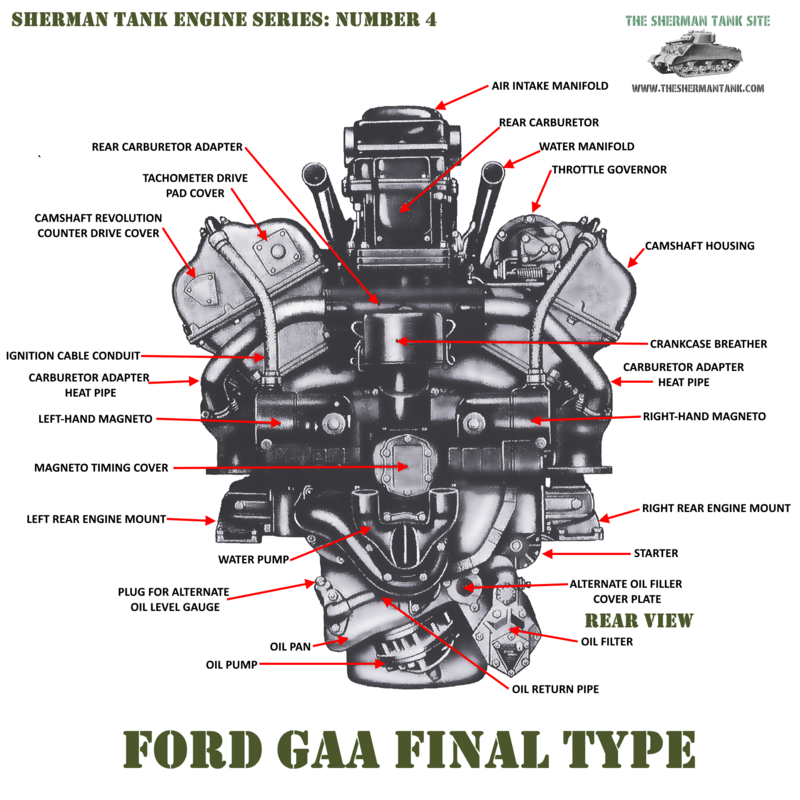 For the very best in minute detail on this subject, please check out the Sherman Minutia site. 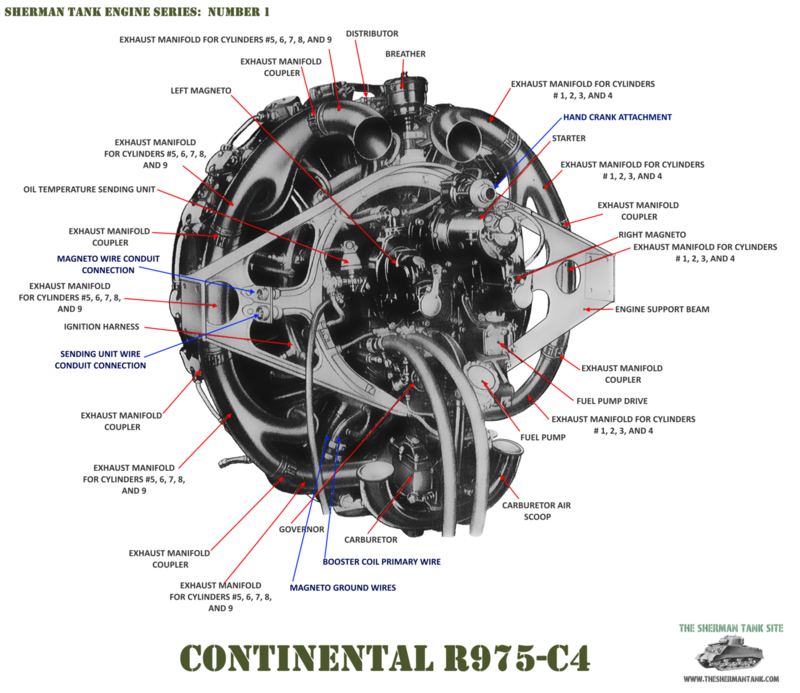 One minor bit of trivia about the original style turret, the D50878, and D78461 castings, the ones produced for the 105 armed tanks were unique, in that they had an extra armored ventilator whole drilled in so another one could be mounted. So the 105mm turrets really are 105mm only. I’m still not sure if there is a 1/35mm Sherman M4 105, or M4A3 105 with the correct turret. The origin of the T23 turret, the fascinating T23 medium tank. It used a gas generator powered electric drive system, but unlike the ones the Germans used on the Elephant, it worked. 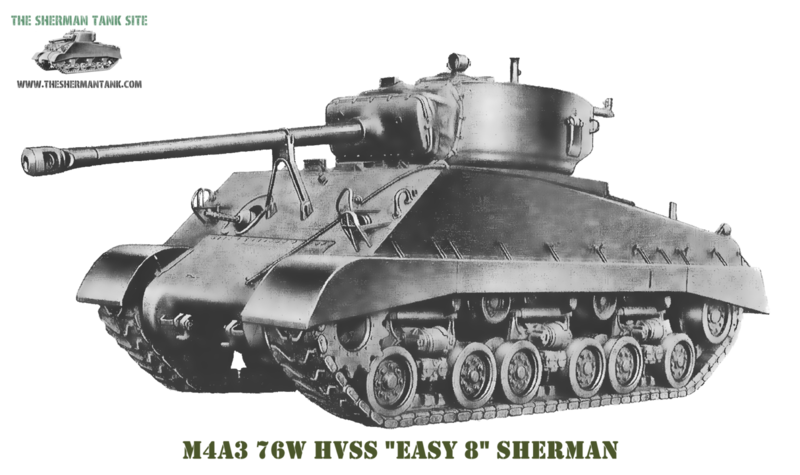 While the 75mm turret was still in production and being improved, the T23 turret, taken from the failed T23 medium tank project, went onto the Sherman with the M1A1 gun on the big hatch, wet ammo rack hulls. This turret was larger and could fit the 76mm gun with much more comfort than the basic 75mm turret. All T23 turrets had loaders hatches, though early production T23 turrets used the hatch that had been the commanders hatch on older Shermans for the loaders hatch and used the new all-around vision cupola for the commander. This didn’t last long; it was found the narrow area between the two large hatches on the roof was a weak spot. The big loader’s hatch went away and an oval hatch went in. These turrets had the same traverse speed as the 75mm turret and the same ROF. The T23 turret came in around 4000 pounds heavier than the 75mm turret. 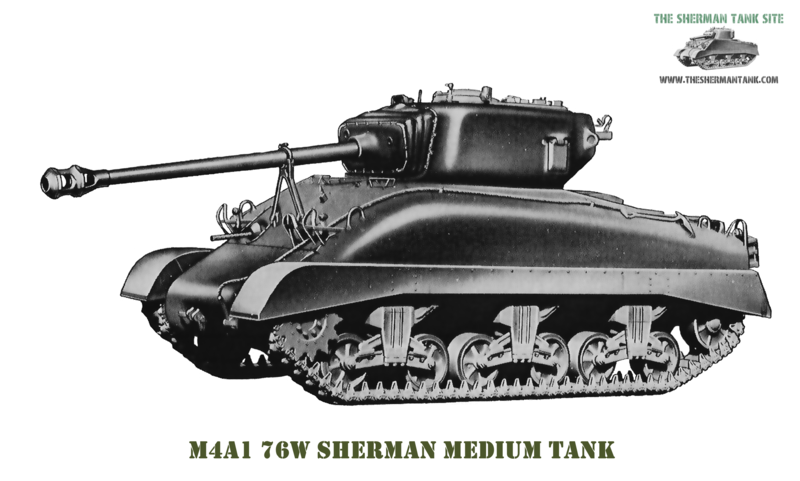 The automotive systems of the Sherman tank were strong enough to support the extra weight without any real change in performance or longevity. The drivetrain didn’t receive any changes at all as far as I can tell, and only the Jumbo tanks got a different gear ratio in the differential. All the extra weight in sandbags, concrete and real armor did shorten the life of the automotive components but not by a significant amount. All T23 turreted 76mm gun tanks, had wet ammunition storage, as did the Jumbo tanks, but not all large hatch hulls did. 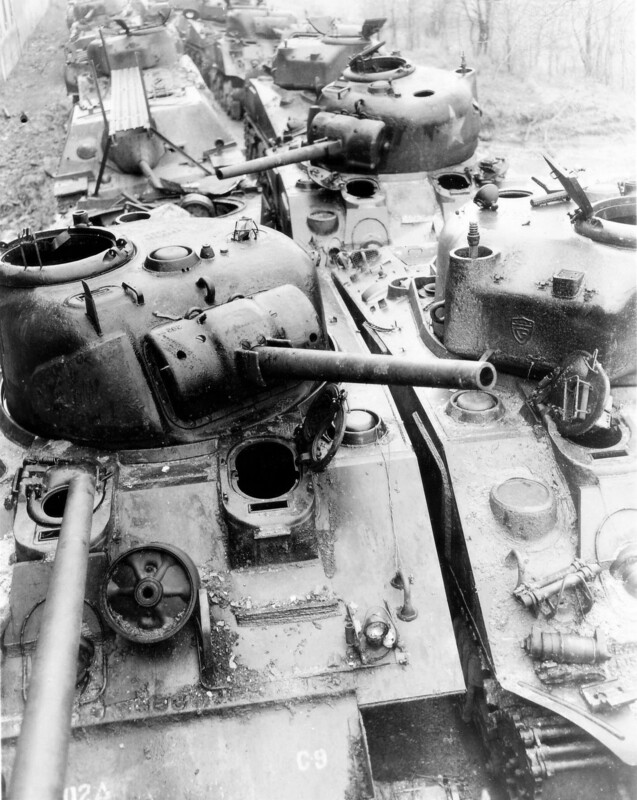 The M4 (105), M4 composites, and M4A2 large hatch 75mm tanks all had dry ammo racks. The T23 Turret would get the smoke mortar, and an extra periscope hole machined in when the split loaders hatch was replaced with the oval hatch.